Arizona State University  and the National World War II Museum in New Orleans recently announced  that together they’ll be offering an online master’s degree in World War II history for credit beginning next January. The university hopes a subset of history scholars will find the program enticing. Behind the scenes, that partnership took effort to cultivate. “Once you have that alignment on values at a high level, there’s constant discussion and negotiation that’s really collegial around how you get to the goal you aspire to collectively,” said Sean Hobson, chief design officer at EdPlus, Arizona State's digital learning arm. In the realm of online education, universities turn to museums to provide content and context that exceeds their capacity, and to bolster existing online programs with specialized material that can attract more students. Museums can use online programs to disseminate their collections far beyond their physical buildings, and in some cases generate a little more revenue to help the organizations fulfill their missions. Partnerships can encompass a single course or an entire academic program. More From "Inside Digital Learning"
A bird's-eye view of online program quality . What online teachers have learned  from teaching online. Online students don't have to work solo . These arrangements can be valuable for institutions that want to leverage interests that overlap with museums' priorities, like prompting critical inquiry and offering materials that enrich and engage. They also present challenges that must be overcome to achieve success: how much control each organization has over courses, how to divide up revenue and responsibilities, how to ensure that goals and missions align. In conversations with “Inside Digital Learning,” representatives on both sides of these partnerships shared insights that other institutions might benefit from hearing, especially if they're pursuing similar arrangements or trying to figure out how collaboration works online. In 2016 executives at the National World War II Museum in New Orleans reached out to Arizona State to talk about the possibility of teaming up for online offerings. 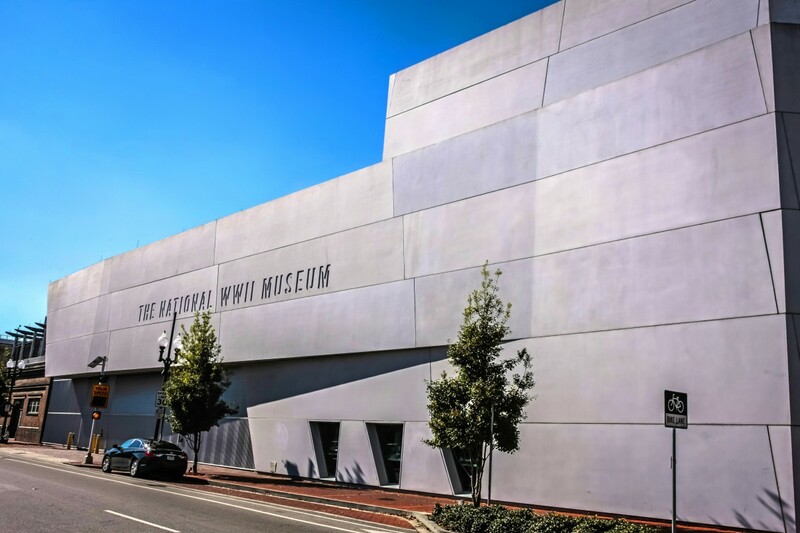 According to Gemma Birnbaum, director of the museum’s World War II Media and Education Center, the museum had been engaging K-12 students with a robust program of field trips and webinars, but hadn’t done much in higher education since it opened in 2000. Online courses seemed like a logical inroad, and Birnbaum’s colleagues wanted an institution that could fill knowledge gaps in the museum’s content and bring its own online expertise to the table. Museum administrators were encouraged to see that Arizona State was working on an online master’s degree program in history, which launched in 2017. Arizona State and the museum will each receive an undisclosed "agreed-upon percentage of revenue based on enrollment," according to a spokesperson for the partnership. While the museum's ambitions might seem well suited to a MOOC, Birnbaum said a full program would give museum officials an opportunity to directly train educational professionals, and to develop the expertise that would be necessary to qualify for a partnership with a MOOC provider like Coursera. Birnbaum said the museum still aspires to work on MOOCs in the future. The result is a fully accredited online master’s degree program in World War II studies that will be available to Arizona State students beginning this January. The 30-hour program consists of courses taught by war scholars from both institutions that will draw on the museum’s collection of 25,000 period artifacts and 10,000 personal accounts of the war -- “creating an exclusive learning experience unlike any other,” a news release  boasts. The program didn’t spring up overnight, though. University administrators spent “the better part of a year” hashing out the details with the museum, according to Philip Regier, Arizona State’s university dean for educational initiatives and CEO of EdPlus. Conversations focused on ensuring the “integrity” of the for-credit program in a pre-emptive effort to head off faculty concerns. Instructors were keen to avoid injecting even a tinge of “bias” or leaving out crucial perspectives in telling the stories of the war, Regier said. At the same time, according to Birnbaum, both parties hoped to emphasize contemporary parallels that continue to make studying World War II history worthwhile. "Everyone was excited about the possibility," Regier said. "It just took a while to design the actual degree." The exercise forced the university team to think more about its audience than usual when constructing academic programs, Regier said. The museum’s visitors want to be told a story; the university’s enrollees want to gain proficiency in their chosen subject matter. The university also had to be sure that there would be a market for the unusually specialized focus of the academic program. The process of developing the courses followed a fairly standard path for the university. Arizona State professors and a couple of "highly qualified doctoral historians" from the museum, according to Regier, put together a curriculum while thinking constantly about ways to integrate the museum’s assets. Museum administrators also provided suggestions. The museum, meanwhile, had to adjust its procedures according to laws regarding public disclosure and protection of constituents’ privacy information, according to Birnbaum. The museum can't extract as much data from students as it would for subscribers to its email list, for instance. Regier believes the program will offer previously unavailable opportunities to explore a period of world history rich with valuable insights and stories worth hearing. “I think it’s just a fantastic way for us to allow access to a whole group of learners about an incredibly important topic in history,” Regier said. The World War II museum just recently got involved with higher ed, but other museums got there first. The American Museum of Natural History’s first partner was the City University of New York, which agreed in 2003 to offer courses developed by museum curators on topics including genetics, the solar system and the brain. The museum's curators and researchers, bolstered by some contributions from university scientists, first started doing online courses after receiving a private foundation grant in 1998. The museum now has nine such partnerships with institutions, including Adams State University, Framingham State University, Rutgers University and Western Governors University. Once a university agrees to take on the museum’s courses, it undertakes the institution’s regular process of academic approvals. The museum provides support to the university on matters like ensuring that grading happens in a timely manner and that students who want to drop courses can do so with their home institution. “We recognize that partnering in just about anything is challenging," said Rob Steiner, director of the museum's Seminars of Science program . "We make a point of trying to make it a light lift." Every partnership is different, according to Steiner. Some institutions prefer to enroll their own students and manage course rosters internally, while others outsource those efforts to the museum. Some institutions offer museum courses for graduate credit, while others simply provide them to students on a noncredit basis. Since the American Museum of Natural History started this subscription model, a couple of institutions have signed on for a year or two and then declined to renew. Steiner declined to name those institutions or speculate as to why they left. Though there are exceptions, Steiner has found that large state institutions with affordable graduate credit and substantial built-in enrollment are more likely to attract the right students than private institutions with inflexible tuition rates, which limits the pool of potential enrollees to students seeking a degree at that institution. “We need to be very flexible and willing to compromise,” Steiner said. The financial details differ as well. Each course costs the museum approximately $700 to $800 per enrollment to support. Partner institutions typically sign one- or two-year revenue-share contracts with the museum, with no flat fee attached. Higher ed institutions tend to keep a larger percentage of the revenue when matriculated students enroll in museum courses than when nonmatriculated students enroll. Hamline University  in Minnesota is among the natural history museum’s institutional partners. The director of the center for global environment education bumped into representatives of the museum at a conference and realized that some of its courses would help fill gap existing gaps in the university’s slate of electives. Twelve of the museum’s courses now act as stand-alone for-credit electives for students at the university. Reynolds said faculty members only raised concerns with regard to the effects on their existing courses, but they eventually felt assured that the museum would be adding value, not encroaching. If a student enrolled at Hamline takes a museum course, the university contributes an undisclosed portion of that revenue to the museum. If a student enrolls through the museum’s online portal but decides to pursue college credit, “there’s a corollary payment” in the other direction, according to Reynolds. Reynolds credits the university’s earlier forays into the online market with its success attracting a steady audience for the museum courses -- 10 to 15 students per year, enough to keep the university from losing money. These partnerships can take a variety of forms. Michael Goudzwaard, an instructional designer at Dartmouth College , decided to partner with the Smithsonian’s Human Origins Program on a course about bipedalism after his institution joined the edX consortium for online courses in 2014. The course had already secured funding and a faculty member to staff it when Goudzwaard brought the National Museum of Natural History on board to contribute an experiential component from its Hall of Human Origins, including videos shot at the institution’s site in Washington, D.C. The partnership offered Goudzwaard insight into the marketing process museums must maintain to get noticed. Smithsonian representatives wanted first review of how their collections were featured and how their involvement was represented. The museum also had to be flexible on its strict policies around sharing its proprietary videos outside its walls. Goudzwaard sees more collaboration of this type happening in MOOCs, which lend themselves to the narrowly focused course content that can overlap well with a museum’s purview. Partnership on an online course can also extend from existing collaboration, as with the Rochester Institute of Technology, which had been working with the local Strong Museum of Play on exhibit designs and children's installations on campus since 2003. In 2016, Therese Hannigan, the institute's director of online, decided that the robust face-to-face video game design program at the institute could lend itself to the online format. Stephen Jacobs, a professor and visiting scholar for the history of electronic games, had grown close to the museum's Jon-Paul Dyson, director of the international center for the history of electronic games, which made collaboration natural. Jacobs handles the academic side, while Dyson is in charge of on-camera production and offering up the museum’s extensive collection. Jacobs struggled during an interview to calculate the cost of production, though he said the primary cost was the investment of faculty and staff time. Because the course isn't credit bearing, it hasn't generated the kind of interest that would lead to revenue. The university and the museum will figure out how to share the proceeds if they ever materialize, Jacobs said. Jacobs isn't alone in seeing these initial forays into collaborations that produce online courses as experimental. Arizona State touted its new program as unique, and Goudzwaard said he thinks his institution ought to be thinking more about how outside partners can inform and enhance online content. "If you just pretend that this is a start-up to make new courses, start-ups don’t make money in their first year," Jacobs said. "On a noncredit course, we didn’t expect to buy everybody in the institute a new car. We wanted to learn, start, get visibility, get better in terms of production flows -- have this be the kickoff."